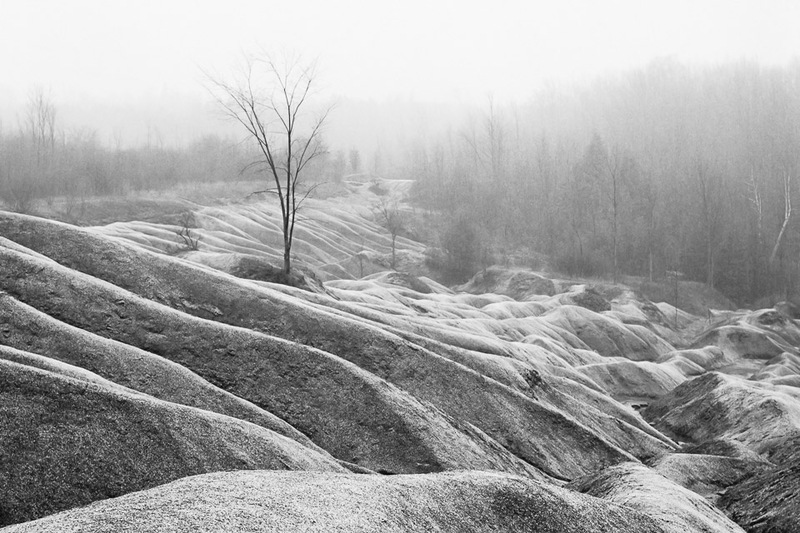 Nestled unexpectedly within the iidyllic Caledon Hills an hour north of Toronto lies the Martian landscape of the Cheltenham Badlands. It has been one of my favourite photographic locations since I learned of it while on location for television show in the 90’s. During my initial visit I knew that there were many great photographs to be made but that I probably wasn’t going to get any that day. As I began to explore the space and frame shots it became apparent that there was much that I needed to learn about it first. I have returned regularly to see how its character changes with the time of day, the influence of weather and the seasons and how different camera positions reveal and emphasize the subject. For example, shooting up toward the tree located in the middle of the formation from the bottom emphasizes the strength and resilience of the tree with all lines leading directly to it. (See the Strength photo below). It creates a completely different feeling than shooting down from the top, evident in other photos below. 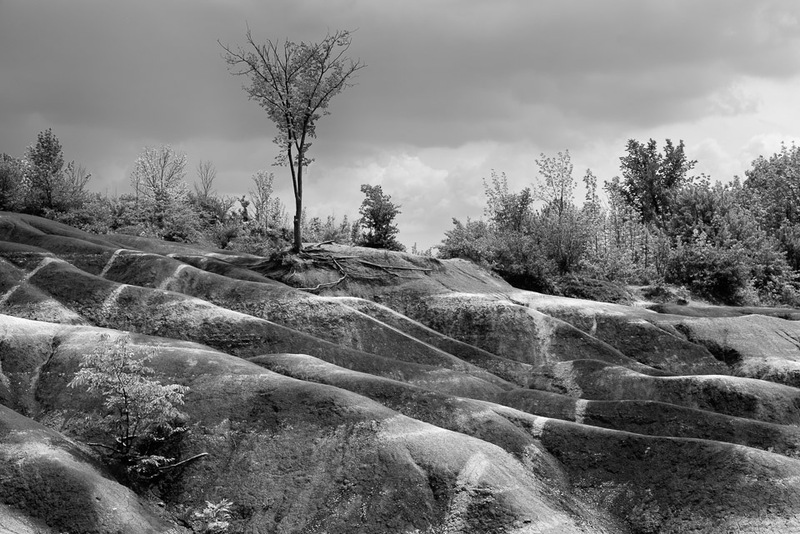 I believe that having an inspiring and accessible subject is very helpful for photographic development. 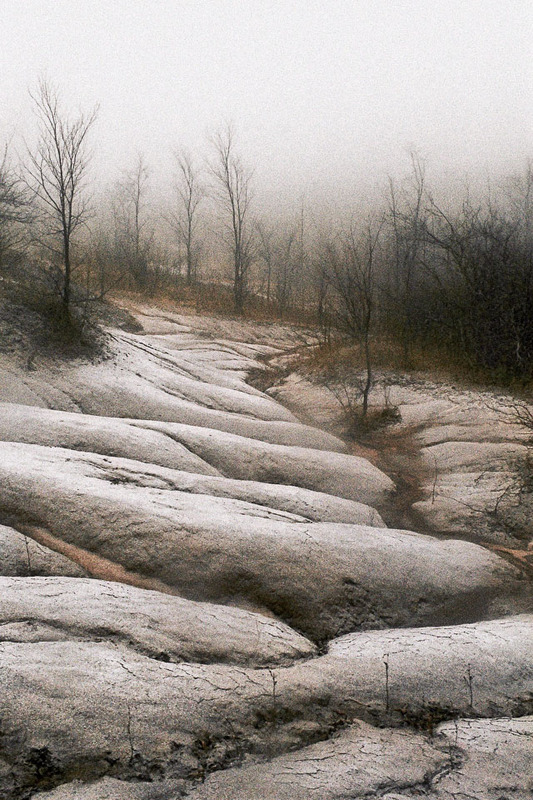 The Cheltenham Badlands is located along the Niagara Escarpment, which is part of the UNESCO World Biosphere Reserve. 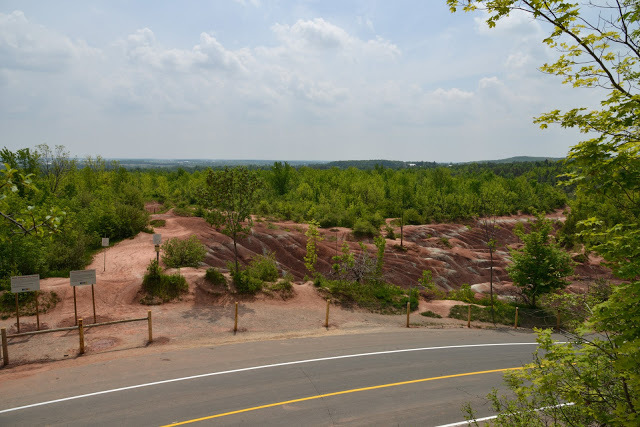 It is composed of soft red clay-like, iron rich, Queenston Shale deposited approximately 450 million years ago. 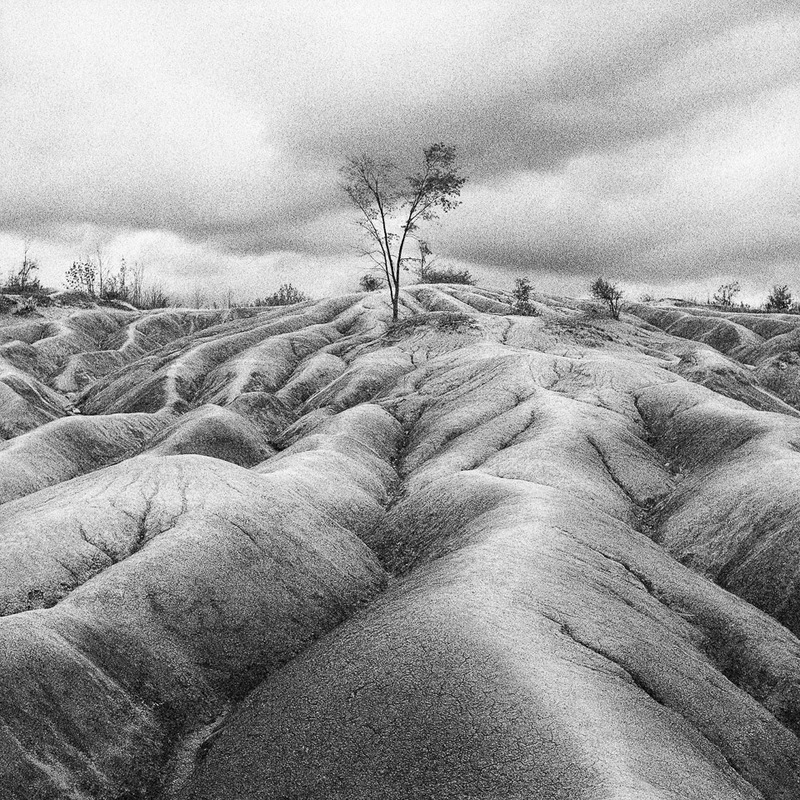 The badlands landscape was revealed as the result of poor farming practices in the 1930’s. The red colour is due to iron oxide deposits and the greenish streaks that run through it is the result of ground water changing the chemistry of the materiel. 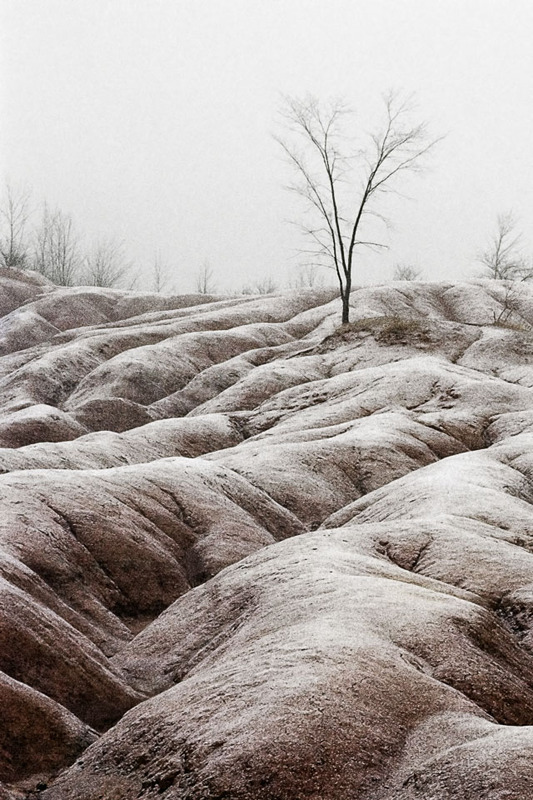 This kind of badlands topography is very rare in Ontario. 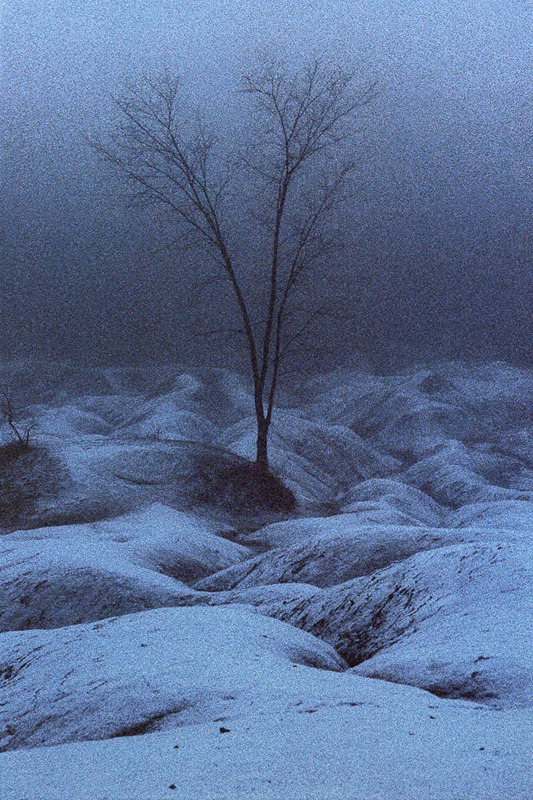 All is not lost for us badlands photographers. 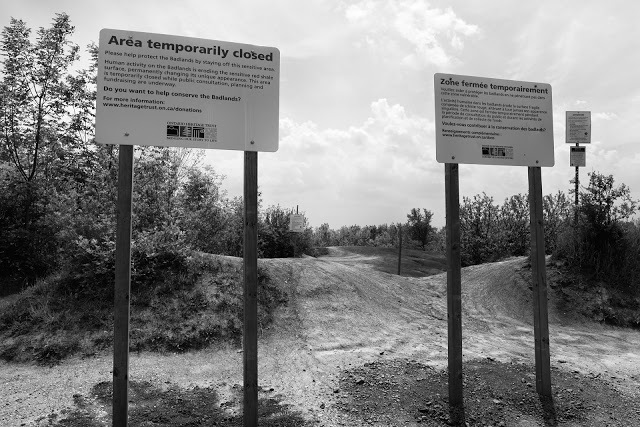 The image above is one example of the kind of photos that can still be made without trespassing into the fenced off areas.